It’s less than 5 miles from Stony Brook University’s campus to Ward Melville High School in neighboring East Setauket. It’s a route Seawolves coach Jim Nagle knows quite well. Nagle, who has completed three season as HC at “The Brook,” was an all-Suffolk County selection on the Ward Melville team that went 24-0 and won the New York state title in 1988. In his current position, Nagle has been working hard to establish a pipeline between his high school alma mater and Stony Brook. 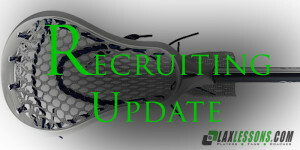 We told you about 2015 WM midfielder Jimmy Kickel’s verbal to Stony Brook. Kickel will be joined at Stony Brook by classmate and fellow midfielder Mike Cusmano, whose verbal to the Seawolves last week was first reported by Joe Lombardi on LaxLessons.com’s Lacrosse Insider premium coverage section. The 5-foot-10, 160-pound Cusmano, a righty, is a hard-nosed, athletic and agile two-way player with a combination of good strength and speed who is a strong dodger on offense and intense performer on defense. Cusmano is also a three-year varsity football standout at wide receiver and cornerback who also ran winter track as a freshman. The great physical therapy/sports medicine program at Stony Brook which I intend to major in was a great influence in my decision. I was very impressed with the coaching staff and the facilities Stony Brook has to offer. Drexel, Sacred Heart, Lafayette, Marist, Hofstra. I only got the chance to visit Stony Brook and Lafayette. My speed, athleticism and dodging ability make me an threat on offense. My intensity and aggressiveness are key as well on defense. My shooting accuracy as well as my off hand stick skills. Did Coach Nagle’s background as a player at Ward Melville impact your decision and are you looking forward to staying teammates with Jimmy Kickel in college? Yes, because Coach Nagle is familiar with the level of performance that is required to play at a school with such a rich tradition of lacrosse. Jimmy (Kickel) is a player with great skills and a close friend of mine. We play great together and I look forward to continuing that at Stony Brook. Coach Dave McCulloch pulled me aside in third grade and suggested that I tryout for the Three Village travel team in third grade. My travel team is Ward Melville Patriot Elite Green. I have been at the Top 205, Philly Showcase and the National 175 Invitational showcases. I have played in the Rising Senior Nassau vs. Suffolk Long Island All-Star game, I made the 2013 Long Island Lax Fest All-Star team, the Hofstra First-Look All-Star team, as well as the 2014 Legacy Invitational All-Star team. I would like to thank coaches (Mike) Hoppey, (Jay) Negus and (Chris) Muscarella for making me a better player. I would also like to thank coaches (Rich) Bucaro, McCulloch, McGinley and Swift for the youth years in Three Village as well as my junior high coach, John Black. Lastly, I would like to thank my family throughout the years for all the traveling while giving me their love and support.